The Antwerp Diamond Hotel is a newly opened 3-star Hotel. All rooms are fully equiped with on suite bathroom. On the Antwerp motorway exit Borgerhout, direction center by taking the Plantin Moretuslei. After the second bridge turn left into the Mercatorstraat and turn right at the first traffic lights into the Belgielei. 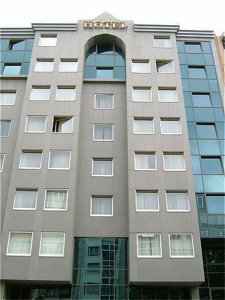 Antwerp Diamond Hotel is situated after 300m on your right hand side. Our meeting and conference facilities are available on request.